And when my servants ask you concerning Me, then surely I am very near; I answer the supplicant when he calls upon Me, so they should answer My call and believe in Me, that they may walk the right way. Call your Lord humbly and secretly. Call unto Me, I will answer you. 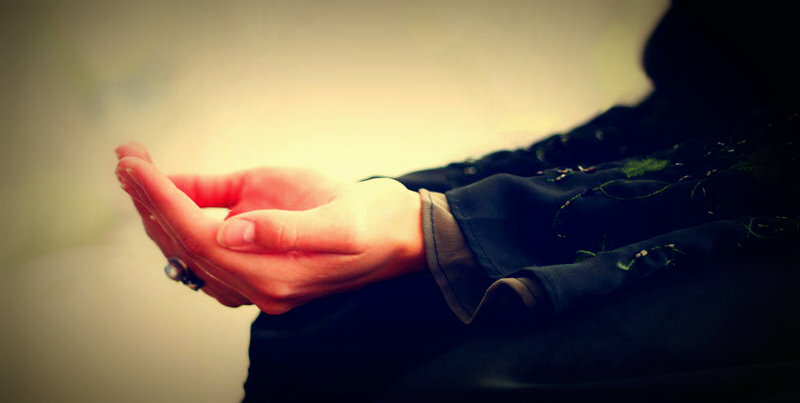 Supplication is the essence of worship. He who sent down the clear Criterion (the Quran) to His servant in order to make him a warner to the worlds; He who sent His noble messenger to the two mighty races of jinn and mankind to give glad tidings and to warn; and we are to this (truth) from among those who bear witness. O Allah - You who connects with those who are cut off (from hope) - connect us to You. O Allah… Make us, our Lord, in this month of ours, on this day of ours, on this very night, from those who are freed from the Fire, and make us from those who are accepted by You, the successful. O Maker of Order (al-Baari’), O Allah… O Shaper of Forms (al-Musawwir), O Allah… O Oft-Forgiving (al-Ghaffar), O Allah… O You Who Subdues His Servants (al-Qahhar), O Allah… O Giver of All (al-Wahhab), O Allah… O Sustainer (ar-Razzaq), O Allah… O Opener (al-Fattah), O Allah. O You Whom there is nothing like - the Hearing (al-Sami`), the Seeing (al-Baseer), O Allah. O Allah, beautify us with the beauty of the Quran. O Allah, enter us into Paradise by the intercession of the Quran. O Allah, ennoble us by the nobility of the Quran. O Allah, dress us with the honorable mantle (khil`ah) of the Quran. O Allah, dress us with the honorable mantle of the Quran. O Allah, honor us with the honor of the Quran. O Allah, have mercy on the entire community of Muhammad, by the sanctity of the Quran, O Most Merciful (al-Raheem), Loving One (al-Rahman). O Allah, guide us and lead us to the truth and to the straight path, by the blessings of the magnificent Quran; and by the sanctity of the one You have sent as a mercy to all the worlds. And forgive us, O Most Generous (al-Kareem), and grant us well being, O Most Merciful (al-Raheem). O Allah, make the Quran the blossoming spring of our hearts, and the light of our chests, and the dispeller of our sadness and grief. O Allah, make the Quran a proof for us, and not a proof against us. O Allah, make us those who read the Quran and become elevated… and do not make us those who read it and become wretched and humiliated. O Allah, bestow on us, by every letter of the Quran (that we have read) a sweetness, and by every word (from its pages) magnanimity and generosity, and by every verse happiness and joy, and by every chapter peace and security, and by every section reward. O Allah… Resurrect us, Our Lord, with the Prophet, the Chosen (al-Mustafa), the one to whom you have granted the right of intercession. O Allah, allow the Quran to be our close companion in this life; and in our graves a comforting friend; and a light on the Sirat; and an intercession at the time of resurrection; and our companion in Paradise; and make it a protection and barricade between us and the Hellfire; and a guide and leader to all good works, by Your Grace, O Most Generous of those who show generosity.